YOKOGAWA Middle East and Yokogawa Saudi Arabia Company have delivered top-of-the-line process control systems for the Khurais central producing facilities. This is a key project providing Saudi Aramco with a fully integrated world class crude oil processing and stabilising facility. In addition to several other challenging initiatives in the regional energy sector, Yokogawa is playing a pioneering role in Saudi Aramco's Khurais central producing facility. This plant, the biggest in Saudi Arabia, is being designed to produce 1.2 million barrels per day (mbpd) of stabilised Arabian Light (AL) crude blend from the three fields with an approximate water cut of 30 per cent. The Yokogawa process control system (PCS) for the Khurais central processing facility project was selected in August 2006 with Yokogawa working with its lump sum turnkey (LSTK) contractors. 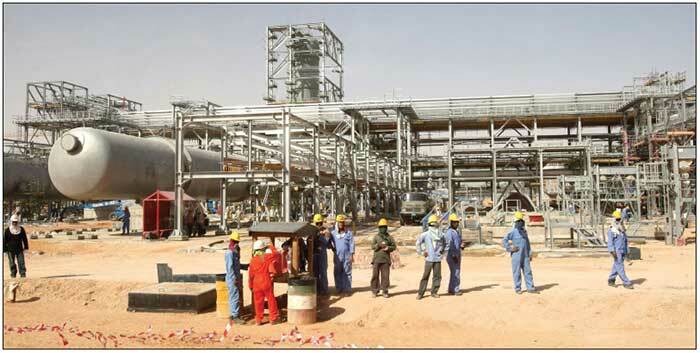 The project was divided into three sections and awarded to three major LSTK contractors. The crude processing facilities and gas oil separation plant (GOSP)—1,2, 3 and 4 are executed by Snamprogetti, Italy. The gas processing facilities Train—1 and 2, the inlet/outlet and storage/shipping facilities executed by Hyundai Engineering and Construction Co, Seoul, South Korea. The water injection plants (Wips) and utilities are executed by Snamprogetti, Italy. The plant, a large scale unit, includes 16,000 hardwired DCS inputs/outputs, 11,000 hardwired ESD inputs/outputs and 1,200 VMS points. YME deployed three teams catering to individual LSTK Contractors. 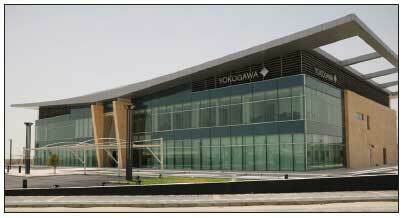 Yokogawa equipped the new facility of Yokogawa Saudi Arabia Company in Dhahran, to stage and test the entire system configuration in a fully integrated manner to achieve customer satisfaction. Yokogawa's project teams comprised 60 engineers. Yokogawa also seconded its engineers at the LSTK contractor's location to assist and provide technical support in designing the system. Yokogawa, as part of its Saudisation commitment, recruited several engineers from Saudi Arabia for executing this project trained and integrated with Saudi Aramco and LSTK engineers during the engineering and testing phase. In addition, Yokogawa is providing the Stardom as RTU's for the Wasia water wells which is integrated onto the Utility DCS. This scope contract was awarded in January 2008 and was executed in a six months period to meet the project requirement and schedule. Yokogawa supplied state of the art consoles from Evans, Calgary to meet the modern design of central control room (CCR) planned by Italian architects with Snamprogetti, Italy. The new CCR will control and monitor the GOSPs, stabilising facilities, water injection facilities, gas facilities and Scada from individual operator consoles. All the equipment has been shipped to site and Yokogawa Middle East and Yokogawa Saudi Arabia are currently involved in the installation of the equipment and supporting the ongoing site acceptance tests (Sat). Saudi Aramco and customer's feedback appreciate that Yokogawa transferred this project to inside Saudi Arabia since the project bidding and that it perfectly met Saudi Aramco's vision for local joint work with the vendor's project team. Through the successful execution of these contracts from its base in Bahrain and new facility in Saudi Arabia, Yokogawa Middle East and Yokogawa Saudi Arabia have proven its capability to execute large-scale projects locally in the Middle East, to the fullest satisfaction of its customers.